By Kelle Clarke on December 30, 2013 - 2013 was a light year for Notary-related legislation based on the number of bills introduced. But the bills that did pass were not light on substance. By David Thun on December 30, 2013 - Signing agents have asked many questions about the annual background check prescribed by the Signing Professionals Workgroup. Christopher Ballas, CEO of Backgrounds Online, answers questions about screenings and clears up some common misconceptions. By Kelle Clarke on December 30, 2013 - As a Florida Notary, am I required to record a signer’s driver’s license number in my notarial journal? By Kelle Clarke on December 30, 2013 - On Dec. 19 we posed a scenario, The Case of the Missing Figures, about a Notary who was asked by a signer to notarize a promissory note that was missing critical information, including the final loan amount. The question is: Was the Notary correct in refusing the notarization, and what explanation should be given to the signer? By Kelle Clarke on December 23, 2013 - As a Pennsylvania Notary, I am interested in being able to notarize vehicle titles. Does this require a special commission or customized stamp? By David Thun on December 23, 2013 - There are only a few more days left to submit nominations for Notary of the Year 2014, so be sure to send in yours by Dec. 31. By David Thun on December 19, 2013 - There are only 12 more days to submit your nomination for the 2014 Notary of the Year. Be sure to nominate any deserving Notary you know by December 31. By Kelle Clarke on December 19, 2013 - Can I notarize documents related to my own business or is it a conflict of interest because I am the owner of the company? If so, could I have my husband perform the notarization, as I am a sole proprietor? 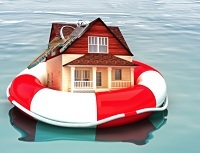 By Kelle Clarke on December 19, 2013 - The foreclosure crisis may finally be nearing its end. According to the latest report from RealtyTrac, foreclosure proceedings dropped dramatically in November, representing a 32 percent decrease from 2012 and the lowest number since December 2005.